The pattern interrupt, as the name might suggest, is when you introduce a change to an otherwise repeated pattern. Why would we want to interrupt a pattern? Because when something becomes part of a pattern, it becomes easy to overlook. When your email is just one of a hundred emails someone receives in a day, then the well-crafted content inside may be overlooked. Interrupting the pattern helps you and your message to stand out. Our brains are wired to classify the things we see into patterns, a phenomenon that psychologists call feature analysis. Feature analysis is a hugely useful skill that helps us get us through our daily lives. Take learning to read as an example: when we learn to read, we’re learning how to recognize letters by its features. When we see the letter “R”, we recognize the features that comprise it – a loop, a vertical line, and a slash – and that lets us immediately decide that it is the letter “R.” Over time, we become so good at recognizing these patterns that we start to gloss over the features and see entire words at a glance. Eventually we become so good at recognizing the features that make up the letters and words that we don’t even realize we’re looking at individual loops and lines. We see the pattern so clearly that we learn to ignore it. The same thing happens when we reach out to busy people via email. In the early days of the Internet, when email was new and novel, it wasn’t hard for your message to get read. Every email was unique and novel and compelling. But nowadays, most people are so accustomed to a constant barrage of communication that it’s incredibly difficult for any given message to stand out. Every email becomes a set of features that dissolve into a pattern — your message becomes a loop, a line, or a slash that easily blends into the background and gets ignored. Patient persistence is a thoughtful approach that can be applied to keep you top of mind for a prospective contact. But when your finely-crafted, value-delivering message gets lost in one mode of communication, try another mode. Not getting a response from someone by email? Pick up the phone. Tweet at them. Write a comment on their blog. Fill out the “Contact Us” form on their company’s website. Get a secondary intro. Send them a handwritten letter. Show up at a conference where they’re attending and introduce yourself in person. Most of us rely on a single form of communication as our primary means of connecting with others. That establishes a pattern that is difficult to break through on that channel. Interrupt that pattern by reaching out via an alternate mode of communication, and you might just get their attention. When we reach out to someone, we often come calling with an “ask”: we’re requesting their time, their information, or their resources. 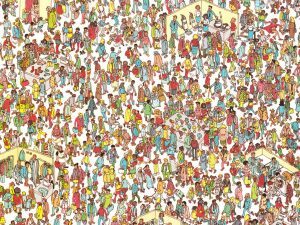 It becomes easy for people to quickly recognize the features that comprise of an ask, which forms a pattern of requests to dismiss or ignore. A way to interrupt that pattern is to come bearing gifts — reach out not with an “ask” but a “give”. Proactively offering something of value to someone, without any stated expectation of receiving something in return, interrupts the pattern of asks. What can you offer? Feedback on their product. An invitation to an event. A speaking engagement opportunity. An introduction someone else that may be useful. A link to an article they might like. Even a compliment on their blog (ahem). When being a “taker” categorizes you into a pattern, being a giver is an easy way to break the mold. The tactic of “surprise and delight” is a mainstay of brands and agencies looking to generate customer loyalty and marketing buzz. Giving customers unexpected gifts and memorable experiences is an effective way for marketers to break through the traditional patterns of advertising that are so easy for jaded consumers to ignore. But you don’t need a multi-million dollar advertising budget to surprise and delight the people whose attention you’re seeking. Just ask my friend Cara Braude. After a successful career running partnerships for companies like Starwood Hotels, UrbanDaddy, and Tasting Table, Cara was intrigued by a job posting that she found on the International Marketing team at one of her favorite brands, J. Crew. As a Canadian expat, Cara knew that her credentials and local market knowledge would be a valuable asset in positioning her for the job. But Cara was not content to have her experience blend into a pattern of resumes and risk being overlooked by the H.R. department. 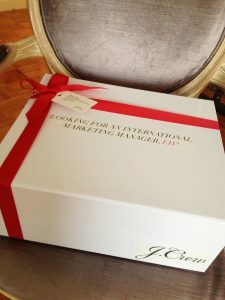 Instead, Cara interrupted the usual patterns of the hiring process by sending a “Box of Goodies” to J. Crew’s head of International Marketing. 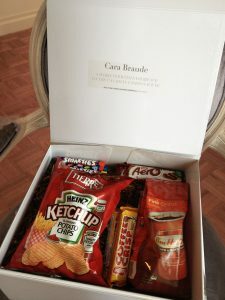 The package, which contained a selection of Canadian snacks in a crisply packaged box, clearly conveyed the message that she was a uniquely qualified candidate with a creative bend. The message was meaningful and valuable, but it was the same message as she could have conveyed on a resume submitted through an online job application . But by using a creative means to surprise and delight her intended audience, she found a powerful way to break through the noise of the traditional hiring process, avoid being pinned to a pattern, and find her way in front of her target. The Pattern Interrupt, like Patient Persistence and the Secondary Intro, is a valuable tool to standing out and being heard. Just don’t forget the most important rule of getting in the door: once you’re invited inside, it’s time to deliver the value. Know another way to interrupt a pattern? Got a tip for Getting in the Door? Leave a comment and let us know! Love the article Scott. Other dimensions to “Pattern Interrupt” could including (1) timing (2) Tag teaming and (3) multiple recipients. Timing refers to either time of day (i.e. messaging early in the morning or late in the evening) or the cadence of your messaging. Tag Teaming – I’ve found it to be very powerful to “introduce” a cold prospect to a colleague — and have the colleague follow up immediately on the email. This tag team approach, with a quick 1-2 punch usually engenders a response. Multiple recipients — sometimes I like to email 2 prospects at once. This adds a new dimension to the game. If there is no response, I can follow up with 1 of them and position us as a team trying to get the attention of the other. It’s just another way to break the pattern and open up the number of options at the hunter’s disposal. Great points, Jeremy! Interesting on the “tag team” approach – can you elaborate on how you’ve seen that work? Are you reaching out solo the first time, then following up with an intro to a colleague in case you don’t get a response? 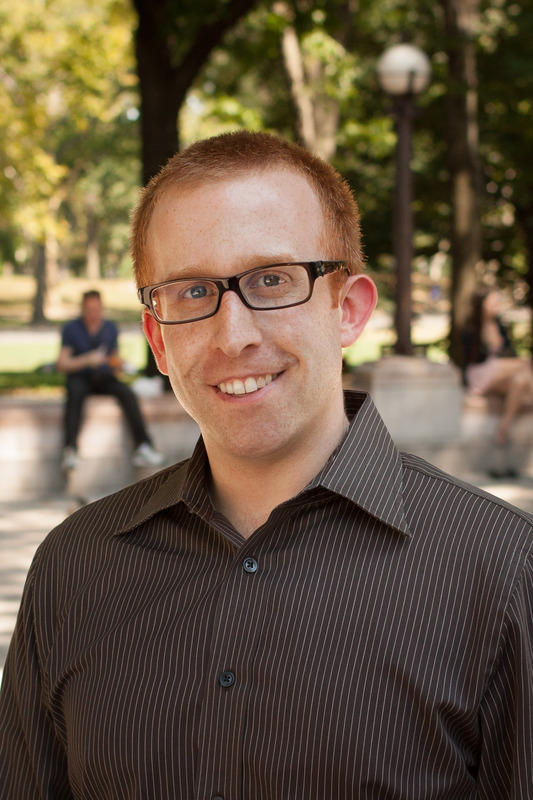 Awesome article Scott… This might be my favorite one of yours yet! Very useful in any field. Great work! Thanks David! I think a lot of what’s considered skills of sales/business development/partnerships are transferrable to almost any job/industry/human interaction so I’ll definitely try to keep up with posts that are broadly applicable. Great article. Amazing how few people do this. This worked really well for me a year or so ago after I attended a panel on business development in San Francisco. After the panel, I tried some of the techniques and got a couple wins. I then emailed one of the panelists and told him how I’d used his technique and how it worked. He was really thankful and mentioned how he rarely hears back from people after he gives advice. Later, I ended up getting a few leads on startup jobs from companies he advises and I even wrote a LinkedIn recommendation for him that he wanted to use on his profile. Thank you Trevor! Amazing how the simple act of going above and beyond to “give” in a world when most people just expect to “get” is underutilized. Your story sounds like “unexpected reciprocation” as another pattern interrupt.